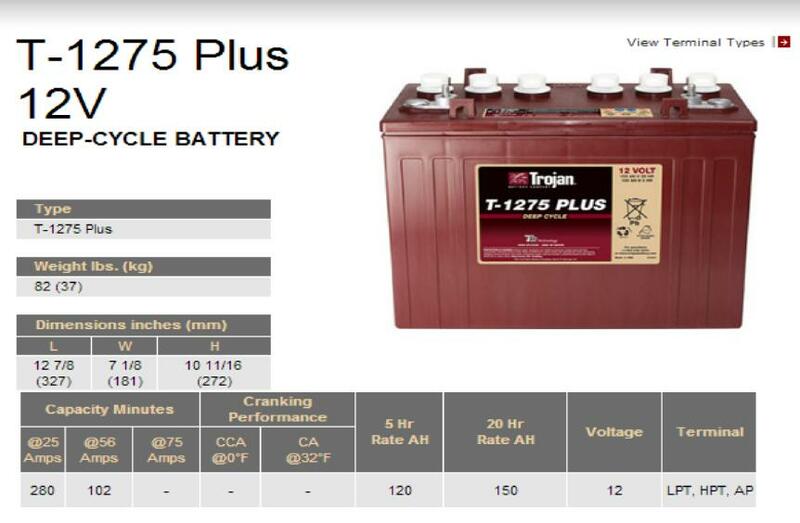 Trojan T-1275 is the most installed 12 volt battery for golf carts. They come with a 24 month Free Replacement Warranty, the best warranty in the industry. Trojan T-1275. The Number One 12 Volt Golf Cart Battery!